Day 1; Arrival and Airport pick up. 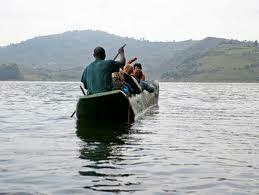 A tours representative from AA safaris and tours Ltd will welcome you and transfer you to your hotel in Kampala. Day 2; Kampala and Jinja City Tour. After breakfast, you will go for a Kampala city tour before you can proceed to Jinja. You may visit places like historical and Cultural sites which include the Kasubi Tombs, Namugongo shrine, Ssezibwa fall and will be lunch along the way to Jinja were you will visit the source of the Nile and you can also go for boat ride to the source of the Nile, visit the Bujagali Falls and then come back to Kampala for dinner. Day 3. 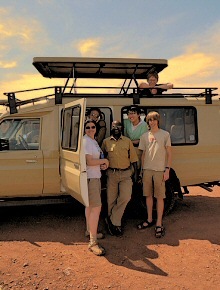 Transfer to L. Mburo National Park. You will have to wake up early enough, take breakfast and then start on your journey Lake Mburo national park. You may stop at the Equator in Masaka before you continue to Park to enjoy your game drive en route where you will see herds of zebras, antelopes, Topis, Elands, the Uganda Kob among other animals. You will go for the after noon boat ride after your lunch after which you will go straight to your lodge for dinner. Luxury – Mantana Luxury tented camp or Mihingo Lodge. Day 4; Transfer to Queen Elizabeth national park. After your breakfast, you will transfer to Queen Elizabeth. You will enjoy an en route game drive en route and see animals like Elephants, Buffaloes, mongoose among so many others. After your lunch, you will for a lunch cruise along the Kazinga channel where you will have the opportunity to see a number of water animals like the hippos, crocodiles and later go to your lodge where you will have dinner from. Luxury –Mweya safari lodge/ Jacana lodge / Katara Lodge or Kingfisher resort. Day 5; Game drive and The Transfer to Lake Bunyonyi Kabale. Mid range- Bunyonyi Over land camp or White Horse Inn. Up market- Arcadia Cottages. / Habuharo Island camp. After breakfast, you will go for a gorilla safari in Parc National des Volcanoes after briefing at the head quarters. You will be given an hour with the gorillas to sit with them and see how they care for each other before you can return to your lodge for dinner. It is also important for you to remember tat some group of gorillas are very hard to find therefore gorilla tracking can take you the whole day at times. Overnight at Lodge. Day 9- Transfer to Kigali.